Mr. Lawson Plummer is the Owner and Master Instructor of Kuk Sool Won of Walzem. He has been involved in self defense since a young boy, learning the skills of boxing from his mother which was taught by her father, who boxed in the Army Air Corp. In 1992 Mr. Plummer joined the U. S. Air Force, where he learned the Korean Martial Art of Kuk Sool Won under the instruction of Kwahn Jahng Nim Daniel Jolly while stationed at Ramstein AB Germany. After KJN Jolly was transferred, Mr. Plummer was one of three instructors appointed to run Kuk Sool Won of Ramstein. In 1997 Mr. Plummer was transferred to McGuire AFB, New Jersey, where he opened the his Kuk Sool Won school under the direction of Chief Master In Joo Suh and the permission of Grand Master In Hyuk Suh. In 2000 Mr. Plummer separated from the military and in 2001 he moved to San Antonio, TX. In 2002 Mr. Plummer opened Kuk Sool Won of Walzem where he teaches daily. In 2013 Mr. Plummer was promoted to the rank of 5th Degree Black Belt, also known as Pyung Kwahng Jahng Nim. PKJN Lawson has performed demonstrations in Europe, Asia, and United States. He has also performed for Asian Pacific Heritage Association on multiple Air Force Bases. PKJN has competed in national and international tournaments and won a host of medal and trophies, defeating many ranked competitors. To make a difference in the life of every student he teaches. To teach all of his students to be patient in life and training and strive to learn something new everyday. Sa Bum Nim Jennifer Plummer is the Assistant Master Instructor, Program Director, and also owner at Kuk Sool Won of Walzem. She began training in Kuk Sool while serving in the U.S. Air Force under the instruction of Pyung Kwahng Jahng Nim Lawson Plummer in New Jersey. After a year of intense training in Korea, SBN Jen reunited with PKJN Lawson in San Antonio. After her promotion to 1st degree black belt, she was named the assistant instructor and began teaching classes for children and adults. 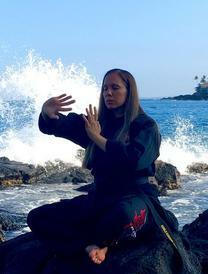 With an unwavering devotion to Kuk Sool, SBN Jen strives to instill the same foundation and values of enthusiasm and training in all the students. SBN Jen received her promotion to 2nd degree in 2005, making her the first student to be promoted to the rank of Kyo Sa Nim (2nd Degree Black Belt) under PKJN Lawson. Her commitment to training hard and conquering challenges is evident by her accomplishments. SBN Jen's continued progression includes completion of testing and promotion to 4th Degree, and now her sights are set on her training for becoming a Pyung Kwahng Jahng Nim (5th Degree Black Belt - Master). To help all students reach their full potential as Kuk Sool practitioners, with an understanding that physical limitations do not have to be a set back or a disadvantage.